WELCOME HOME TO THIS DIAMOND IN THE ROUGH OF A RENTAL! THIS 2 BEDROOM, 2 BATH MOBILE HOME HAS BEEN ENTIRELY RENOVATED WITH A NEW KITCHEN, GRANITE ISLAND, NEW LUXURY VINYL TILE, AND FRESH MODERN PAINT. 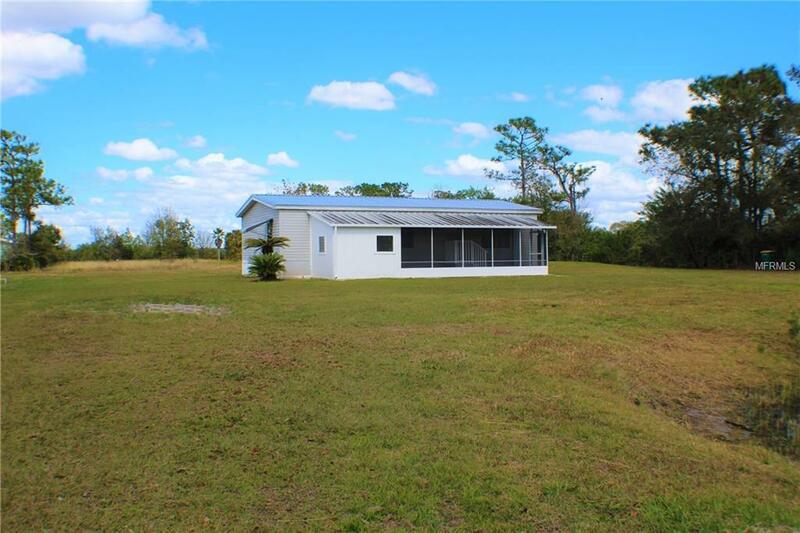 THIS HOME IS SITUATED ON NEARLY 1 ACRE OF BEAUTIFUL OPEN SPACE SURROUNDED BY SHADE TREES. ENJOY SITTING ON YOUR COVERED SCREENED PORCH IN THE EVENING AND WATCHING THE WILDLIFE IN THE COUNTRY! ALL ROOMS ARE OPEN AND BRIGHT. COME SEE THIS HOME TODAY BEFORE IT IS GONE! $50 PER APPLICANT 18 & OVER. SEC DEP MINIMUM =/> 1 MONTH'S RENT IF APPROVED. $20/MONTH AC FILTER DELIVERY. $250 DEP/FEE PER PET IF ALLOWED. $195 ADMIN/LEASE FEE IF APPROVED.